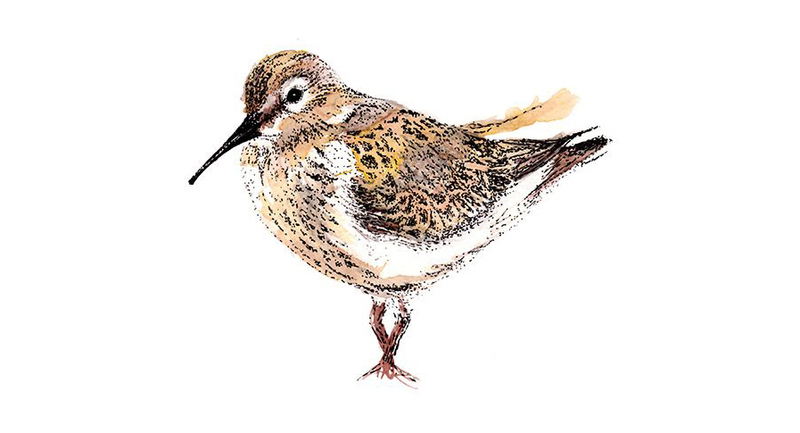 Try your hand at submitting something to this new publication about waders by Dunlin Press. 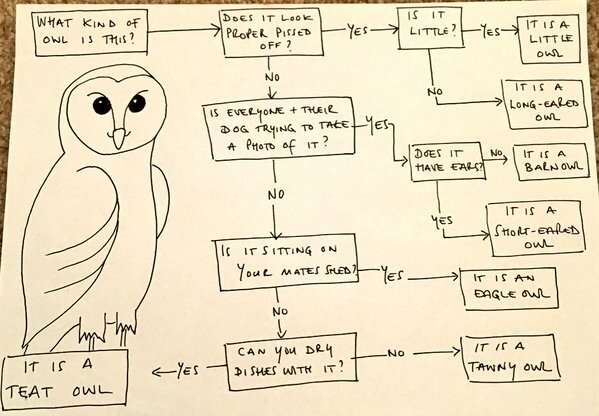 I love this tea towel soon to be available from the Probable Bird Society. A very excellent place to shop set up by two birders who raise money for such worthwhile charities such as birders against wildlife crime and the RSPB’s Skydancer appeal. Visit them and support them. no it’s not gillyweed but almost as magical. November is here, it’s raining outside and everyone seems to have gone down with a cold. 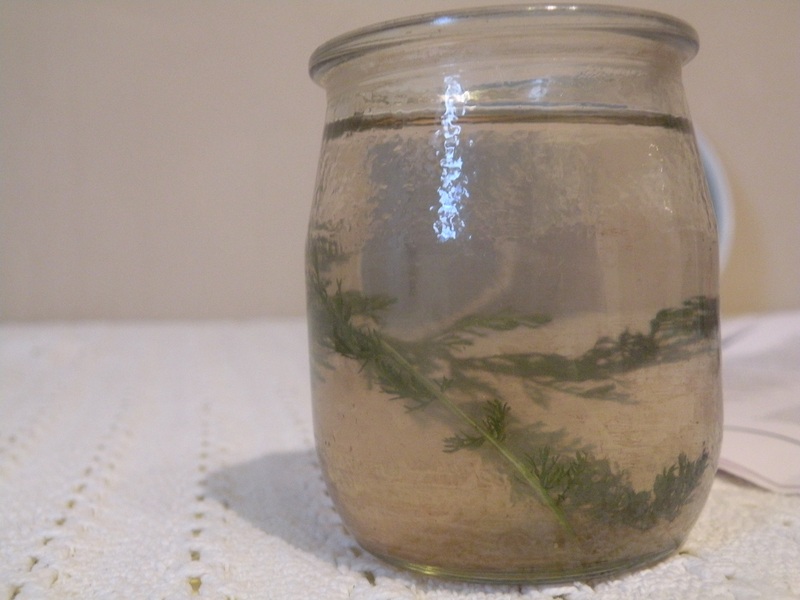 Make sure it isn’t you by trying out this recipe for Yarrow Tea. Yarrow has been used for centuries as a medicinal herb for everything from healing the wounds of men in battle, curing toothache to warding off bad luck. 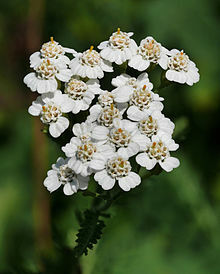 Yarrow also contains anti-inflammatory chemicals and makes a good insecticide. 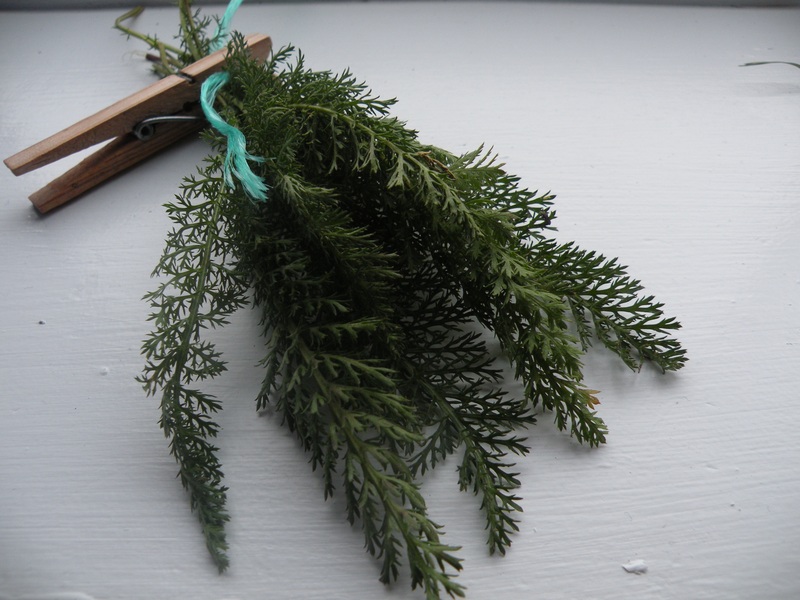 pick fresh yarrow leaves which are widely found in meadows and verges all over the UK. Make sure the area hasn’t been sprayed with any chemicals or messages from passing canines! take a couple of leaves, steep them in hot water and add a spoonful of sugar, honey or rosehip syrup for extra cold busting power. It looks like something Harry Potter would be made to drink but is actually pleasantly aromatic. 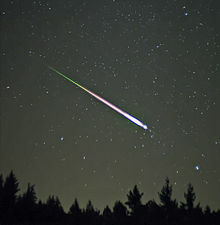 Inspired by BBC’s Autumnwatch I headed into the garden to listen for the sound of migrating redwings passing over head on their way from Scandinavia and stumbled into a meteorite shower, if such a thing is possible. A shooting star flew overhead and I wished on it, automatically, a human thing to do but then, overhead I could see lots of tiny meteors whizzing around and ran out of wishes. My neighbour Bill came into the garden for a smoke followed by his loyal sidekick, his chihauhau, Blue. I lay still on the bench in the garden trying not to alert Blue’s ferocious guard dog instincts. The neighbours think I’m weird enough and I didn’t want to add to the list of tales they could tell their friends. I lay there, waiting for the security lights to dim, wrapped in winter layers and Russian hat and watched the sky fall apart overhead. Laced with twenty first century debris of satellites and airplanes, stars fell, flashing green and streaking white tails across the sky. One hour later, shivering with cold I’ve ventured inside to find that what I’ve been watching are Taurid fireballs, trails of ice and dust from the comet Encke as it orbits the sun. The shooting stars are set to peak over the next few nights so turn off the tele, forget the whispers of your neighbours and head out there now.